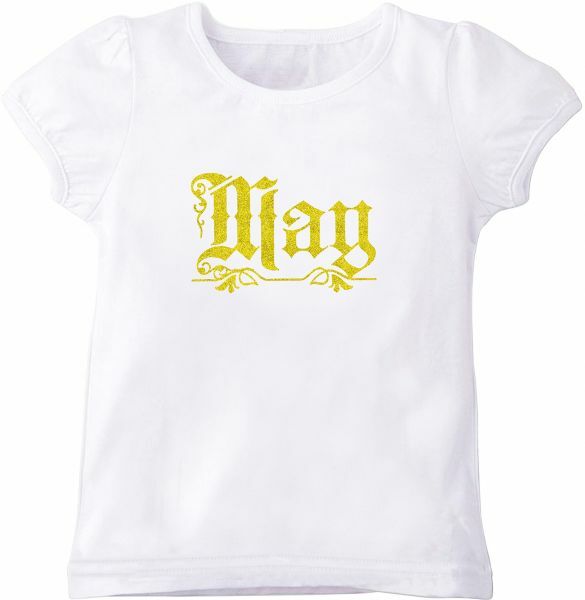 Flaunt your little one's name on a super sparkly glitter gold t-shirt. A stylish personalized tee that gives a unique sparkle and shine with any outfit. Perfect for celebrating birthdays, a cute gift in Ramadan gatherings, Christmas and any other occasions, can be used in kids photography, kids or school activities or just an adorable outfit of the day. Care Instruction: Turn the garment inside out. Machine wash using warm, gentle cycle. Wash with similar colors. Do not bleach. Tumble dry low or hang-dry. Iron inside out on medium setting.